Why do SF movies matter? What do they tell us about the interests of storytellers and the changing tastes of cinema-goers? How have SF movies evolved with filmmaking technology over the past 110 years? 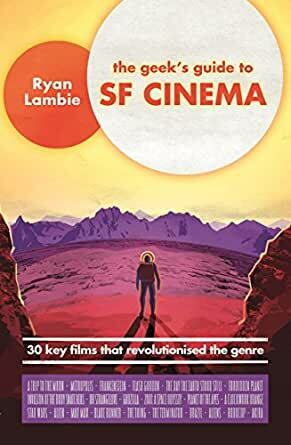 The Geek's Guide To SF Cinema provides an entertaining and in-depth history of the science fiction genre's pivotal and most influential movies. From the pioneering films of Georges Méliès to such blockbusters as Avatar and Inception in the 21st century, the book will explore how these key movies were made, how they reflected the mood of the time in which they were released and how they have influenced other filmmakers in the years since. Historians and experts contribute to answer questions such as: 'How important was Fritz Lang's contribution to cinema?' and 'What did Alien say about the cynical climate of the 1970s?'. Providing nostalgia for long-time SF addicts and context for those whose knowledge and love of the genre is still growing, this is a pop-culture book with depth. A wonderfully accessible, fascinating, flat-out treasure chest of science fiction cinema, from an author whose love of the subject leaps off the page. From one of the key contributors to popular website Den of Geek. Once a cult phenomenon, now a fixture of contemporary pop culture, SF cinema is explored through key turning points in its history through 30 significant films.